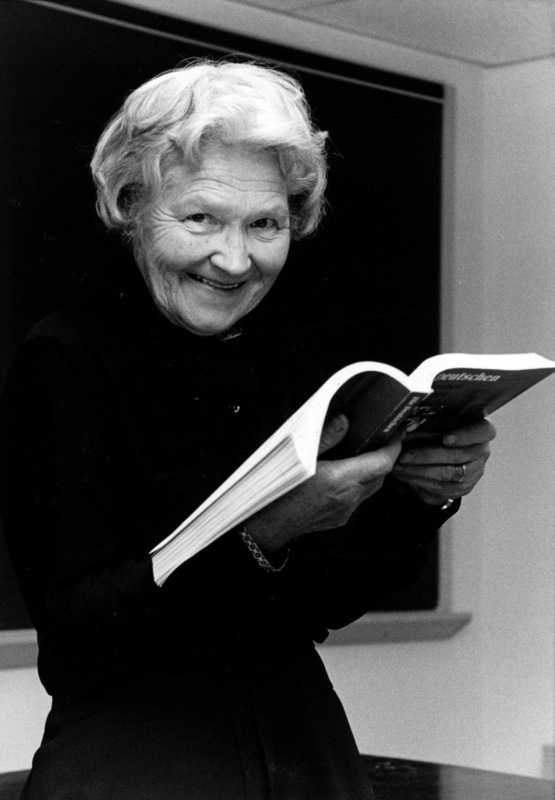 Marianna von Ungern-Sternberg Bogojavlensky taught German and Russian language and literature at Dickinson College from 1963 to 1981. She was born to Russian parents on September 1, 1915, in Helsinki, Finland. She earned her master’s degree from the University of Helsinki. In 1950, she immigrated to the United States and earned her Ph.D. in Baltic and Slavic studies from the University of Pennsylvania. Bogojavlensky wrote and published Reflections on Nikolai Gogol (1969) and Russian Review Grammar (1981). She also translated Russian works into English. She published Three New Soviet Poets: Evgeny, Evtushenko, Leonid Martynov, Evgeny Vinokurov (1967) and Russia in Ilya Glazunov’s Art (1984). Bogojavlensky received multiple awards for excellent teaching. She died on July 10, 1993. The Marianna Bogojavlensky Collection is housed in one document box and is divided into two series: Teaching Materials and Writings and Scholarship. The Teaching Materials series is composed primarily of lecture notes written by Bogojavlensky. There are three notebooks along with numerous loose papers. Most items have a subject heading, usually a particular author or period in Russian literary history. The series also contains two syllabi and a quiz. Often lecture notes filed with a syllabus do not appear to correspond with the syllabus.The folders are organized alphabetically by subject, with folders of miscellaneous or unknown subjects filed towards the back.The Writings and Scholarship series contains notes for Bogojavlensky’s book Russian Review Grammar, a translation by Bogojavlensky of a Finnish essay, an essay written in Russian, and a copy of a chapter from a book that has yet to be identified.The folders are organized alphabetically.